ONE: The rebatch you order from Bramble Berry comes pre-shredded, so you won’t need to worry about that. Set your double boiler on medium heat and add the rebatch. Let the rebatch sit and move on to step 2. 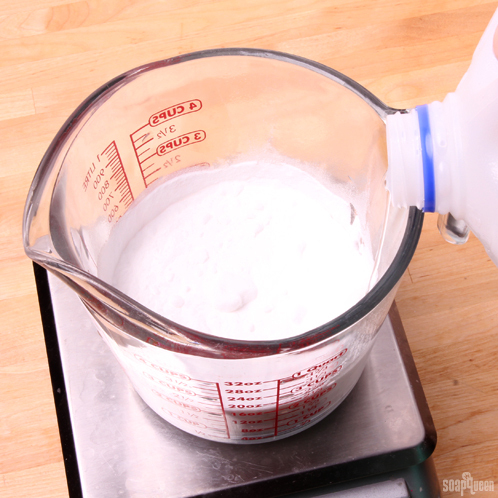 TWO: Mix the baking soda with 3 oz. of distilled water. 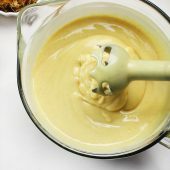 Stir with a whisk or spoon to combine. THREE: Add the entirety of the baking soda/water mixture to the rebtach and stir. FOUR: Add the Colloidal Oatmeal. At this point, the rebatch should start to melt down into more of a paste. If it hasn’t, keep stirring and turn up the heat slightly on the double-boiler. FIVE: At the Oat Extract and stir. SIX: Now play the waiting game! 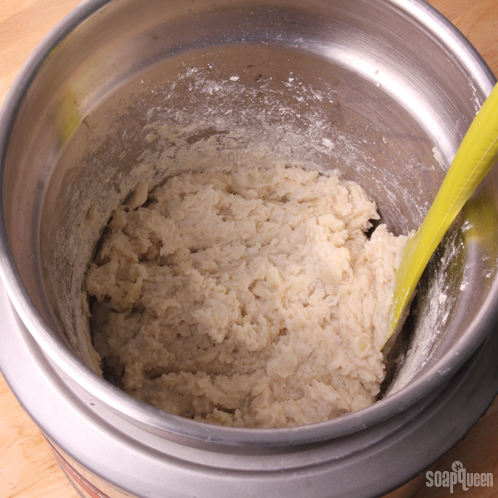 After about 20 minutes, the rebatch will start to thicken into a gloppy oatmeal-like texture. That’s what you want. 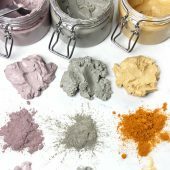 You want to keep your rebatch hydrated, so you may need to add a little extra water if you notice any cracking or if the mixture turns to a clay-like consistency. 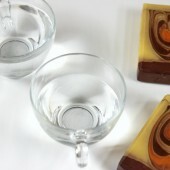 Keep in mind that the more liquid you add, the softer the soap will be, and the more difficult to pop out of the mold. We added a tiny (.2 oz) of extra water to keep the soap from getting too dry. SEVEN: As you can see below, the ideal texture is that of mashed potatoes. At this point you’re ready to spoon it into the mold. 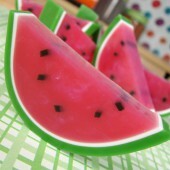 EIGHT: We used a Round Silicone Spoon to scoop the soap into the mold. Because it’s so thick, remember to tamp the mold on the table to eliminate any trapped air bubbles. Garnish with rolled oats. Wait 2 to 4 days before unmolding. 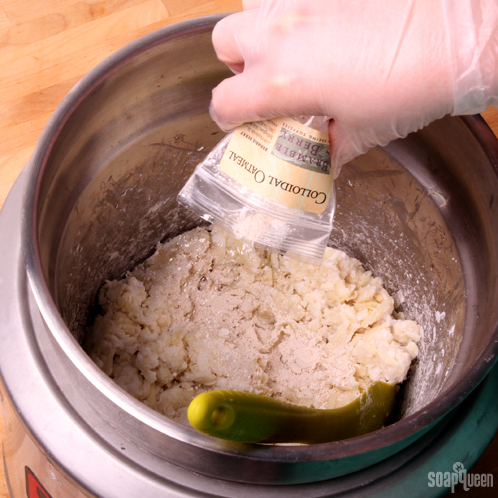 When send our rebatch already cured, so as soon as you cut it’s ready to use right away. Enjoy! Lye water and baking soda. Those are chunks are undissolved lye! Lye water, baking soda and oil. Even after vigorous stick blending, the mixture still wouldn’t combine. So there you have it! These photos definitely speak for themselves. While we don’t know exactly why baking soda reacts so poorly with lye and soap batter, our guess it has something to do with the baking soda and lye neutralizing each other, thereby interrupting the saponification process. 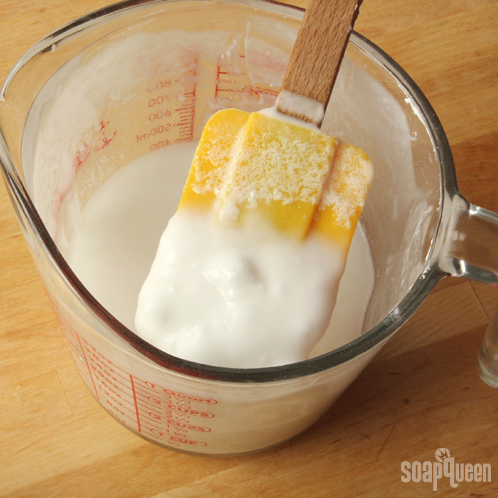 When it comes to baking soda and soap, stick to rebatch! 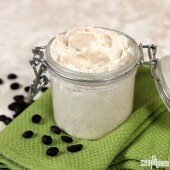 I tried this recipe with the goat milk rebatch. 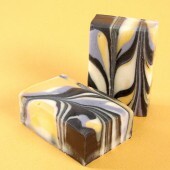 I scented it with the milk, honey and milk fragrance oil. I cut the bars today and it turned out perfect. 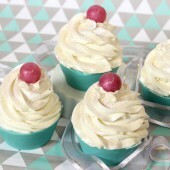 Please give us more rebatch recipes! So… What if the baking soda were added just prior to pouring, after the lye solution and oil had already been mixed? I’m not exactly sure, we didn’t try that out! My worry is that the baking soda would react with the unsaponified lye in the soap batter and start to clump it, much like it did to the lye water. Baking soda seems to interrupt the saponification process, leaving that lye as is. I wouldn’t recommend using baking soda in cold process soap. 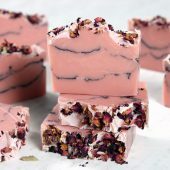 Hay, I have been making a bicarb cold process soap for a long time with no problem at all I add the bicarb and white clay powders at trace and I have never had a problem! I only add about 2% in but it makes a beautiful bar! 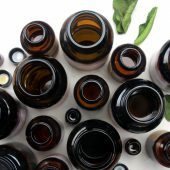 Hi I just was wandering if you could make rebatch with an infused herb oil ? 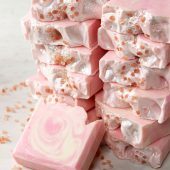 If so how much could you use for this soap recipe? I had forgotten about that tutorial on infusing oils I’m definitely going to watch that video again. 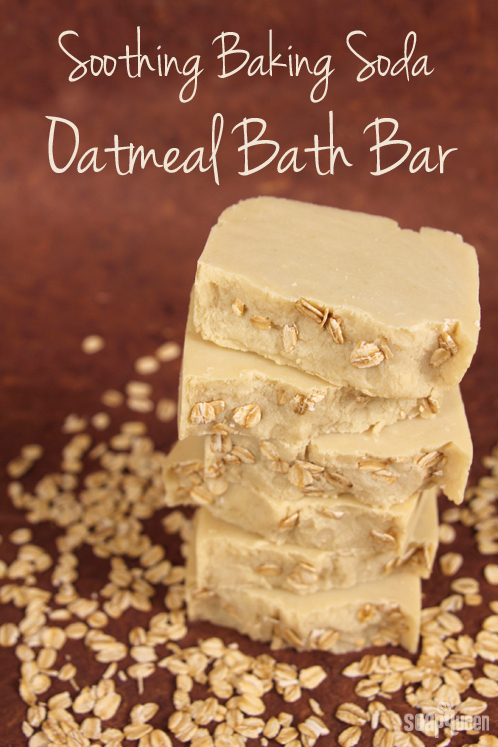 I used a Reynolds oven bag twist tied tight in boiling water with success to utilize this recipe to rebatch my own melt and pour oatmeal soap that smelled wrong because of a mistake with EO. 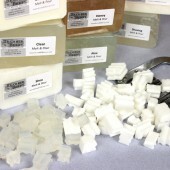 I had 1 pound of soap cut up in small pieces with my soap cutter…. added 1 pound of baking soda, and I added 3 ounces of water like you say in the above recipe. In less than 1/2 hour the soap was liquid and ready to take out of the water and allow to cool a bit down below 100 degrees. 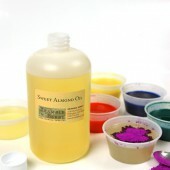 I opened the bag then added new almond Fragrance oil 1/2 ounce worth. Thank God it smelled better. After it cooled enough to manage and began to thicken I spooned it into my loaf mold. after 3 day7s I dumped it out of the mold and sliced it into large bars to continue to dry out. It is soft and still damp. gonna wait a week and check again to see if I can finish slicing it. I think it’s too wet because 3 ounces of water was too much water. I’m now concerned that from what I’ve read on your site. 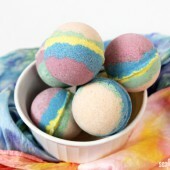 that the baking soda may make the soap not give forth lather. I don’t want that to be the case. My reason for adding the baking soda was to increase the already exfoliation properties that my having added oats in the first go round worked. I won’t know this for sure till it finishes drying out and hopefully becomes hard. any thoughts anyone??? will I now sacrifice lather? 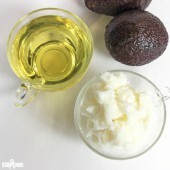 did the above recipe using the stock re batch soap not lather because of the addition of so much baking soda? on reflection. 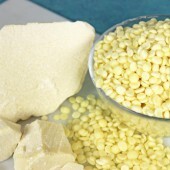 when I make new batch of M&P would a teaspoon per pound of baking soda cause my recipe not lather? 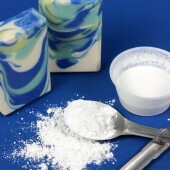 Baking soda can inhibit the lather in the recipe, even when using the Basic Rebatch. 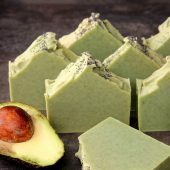 This recipe was designed to be gentle and exfoliating, but won’t have as much lather as other soaps. 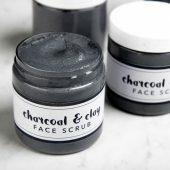 The great news is it feels great, and helps exfoliate so your skin feels fresh and clean. Thank you Kelsey for your prompt response! 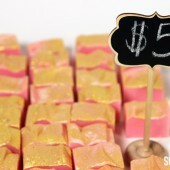 I’ check out the tutorial and also let you know how my soap does after it finally dries out. Its almost a week and I’ve wrapped it up in a diaper material and put it in a box in the sun during the daytime. It is starting to harden and dry out. I appreciate your ideas. The rebatch you’re referring to that the lather isn’t affected.. Do I get to just melt and pour that or do I need to use my oven bag method in boiling water? Yes Kelsey I’m asking about melt and pour soap base. adding how much baking soda to not retard lather. I made. chopped them up added 1 pound of baking soda. used your re batch recipe using a Reynolds oven bag …etc. see above….and now after 2 weeks of drying out the bars. I want you to know it makes great lather! i’m very pleased with the baking soda working out with the oatmeal soap re batch from bad soap smell from previous melt and pour recipe. 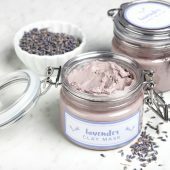 my new question to you has to do with the first time around using regular melt and pour base I add my oats and I wanted to also add baking soda to it as well but not so much as to retard the lather. should I stick with a couple tablespoons per 8 ounces of melt and pour or less? many thanks!!! again I’m not using re batch base this time just using the regular brand new melt and pour base. I’m so glad that soap is lathering well for you! I love a bar with big ol’ bubbles. 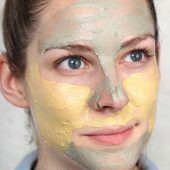 Thanks for the update on exfoliants as well! I know that will be helpful for other people looking to try them. I’ve made this recipe using your grated Castile rebatch and love it! 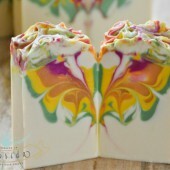 I would like to try it making the soap from scratch. 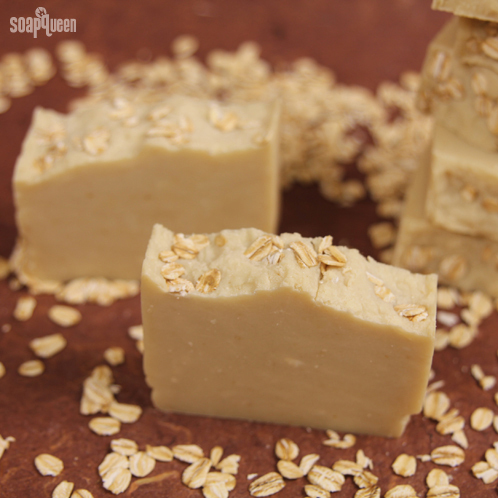 If you make your own Castile Soap, how long do you let it cure before grating the soap and using it in this recipe? Thanks! Also, you can grate that soap as soon as it’s firm enough! 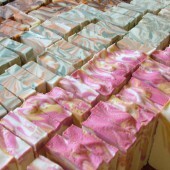 The fresher the soap is, the less water you have to add to your rebatch. 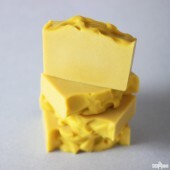 Because olive oil soap is very soft, it may take a few weeks for it to be firm enough to grate. I imagine 2-3 weeks would give you a nice texture for grating! Will the oats go off? I made this recipe exactly as printed and added .5 ounce sandalwood at the mashed potato stage. 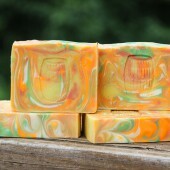 I molded and then unmolded 2 days later and the soap is very soft. Did I add too much fragrance? I did not add any additional water besides the 3 ounces. Can it be re-rebatched and try to make a drier batter? Because this recipe has 3 oz. of distilled water added, it can be a little softer. How long you cooked the recipe can also factor in, as the longer you cook it the more water with evaporate. 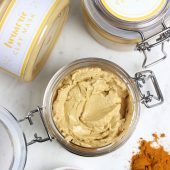 I made this recipe and have a few questions. It was only the second soap I have made. It looks awesome however, it is extremely harsh and provides no lather at all. I understand that it is supposed to be an exfoliating soap but it really is not enjoyable. 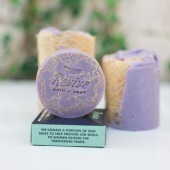 Anyway, I am wondering if you can rebatch a rebatch soap? 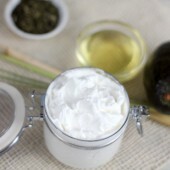 And if so what would you add to it to make it better for more lather. And how would you calculate that into the batch? This is the only rebatch soap I have every made, and since this I have moved on to Cold process and have made 6 batches so far. 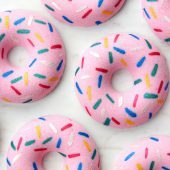 This website has provided me with a plethora of soaping information. Thanks! 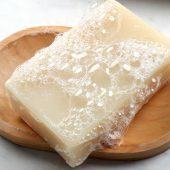 Castile soap, or 100% olive oil soap, is very gentle and soothing, but it doesn’t produce a lot of lather. 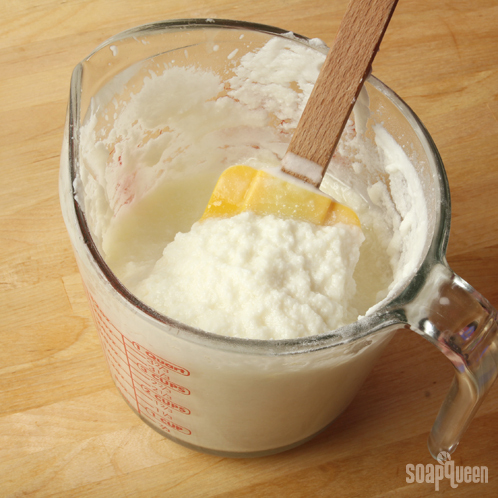 Adding baking soda and oatmeal will also mean not a lot of lather. As for rebatching, you can definitely do that! Just grate the soap and proceed as before. 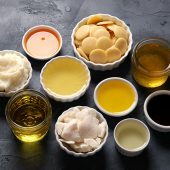 Because rebatch soap has already saponified, or turned into soap, adding extra oils can be tricky. It can make your bar greasy or oily. This recipe is great! 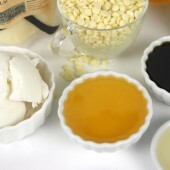 Do you think any new rebatch recipes will be coming out soon? This rebatch recipe looks like the answer to some CP soap of mine that didn’t turn out the way I liked. 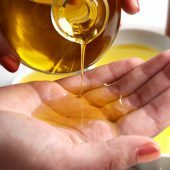 I made a recipe for castile soap (the recipe was 567g olive oil, 73g lye, & 215g water). I’ve used this recipe before with success. I’m fond experimenting with recycling old packaging for soap molds, and I had this neat box that I hated to throw out. 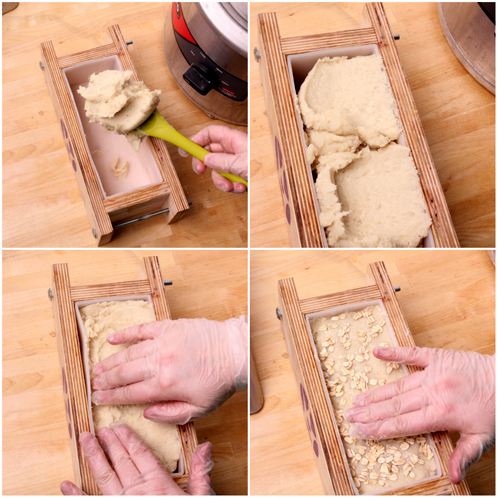 well I didn’t make a large enough recipe to fill the box the way I would’ve like when pour time came, so I have kinda squat bars that I didn’t like how they looked when I sliced, and they also gelled and left me with rings inside. not happy with how they look. can’t sell them, don’t really wanna give them to anyone either. 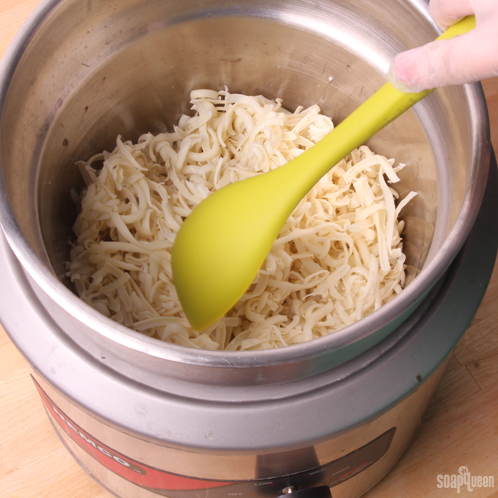 So my question is… can I grate this and rebatch it with the recipe you’ve got here? ok, next question. 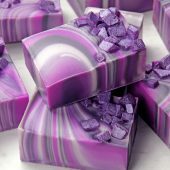 how long after making a batch of CP soap do I have to wait to rebatch it? does it have to cure for the few weeks, or can I rebatch it as soon as I unmold and cut? 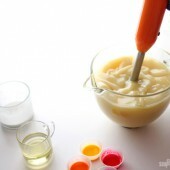 You can rebatch it as soon as you unmold it. 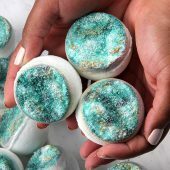 Soap that has been really, really freshly made – within a few days – glops down / melts down pretty easily with a little water and heat. If the soap is older than that, it takes more liquid and doesn’t quite melt down / glop down as smoothly. 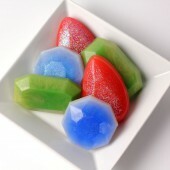 The soap we used in this recipe was fully cured cold process. 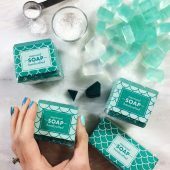 If your soap is fresher, you may need a little less water. I would recommend adding small amounts until you reach the mashed potato consistency shown above 🙂 That’s the nice thing about rebatch, you don’t have to be quite as exact! 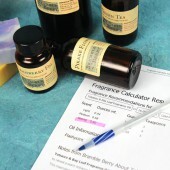 When do you add the fragrance? So i made some of this soap today, not sure if i did something wrong but it only half filled my 1kg mould (280mm x 90mm x 71mm), so i am not sure that this will make many bars… anyway made it with some sandalwood, smells amazing. 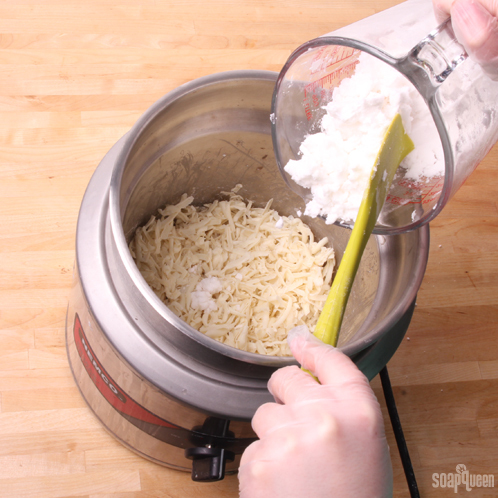 I also used a food processor to really finely chop the soap up. I hope it makes a really smooth bar. 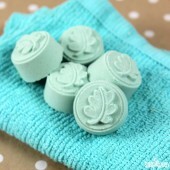 I’ve had success with baking soda in CP soap. I added some liquid glycerin to it to prevent clumps. I then added the baking soda/glycerin mixture to the oils prior to adding the lye water. Soap came out great with no issues. I’ve made this recipe 3 times and each time the resulting bar is coarse, grainy (with the baking soda) and more of a white color than the color shown. It doesnt feel soothing in the shower, it’s scratchy.I’m wondering what I need to do to get a soothing bar. I used your round silicone mold, not the loaf mold, and carefully followed the recipe.Maybe I need to add more water to the baking soda to account for east coast climate differences? 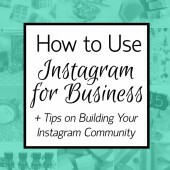 Thanks for any tips.And, your blog is an awesome educational tool! 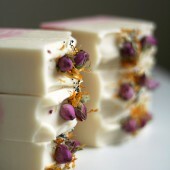 I’m wondering if you can somehow make this into a liquid soap instead of a bar? What should I substitute? Thank you! 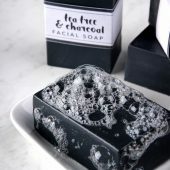 Once the soap is unmolded when can it be used? I love your blog, it’s always so much fun to read. 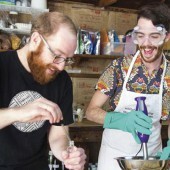 I learn so much about crafting a lovely bar of soap. I read a lot of the comments about using baking soda in CP soap. I don’t think it will work chemically (chemistry was my major). Baking soda (sodium bicarbonate) is an amphoteric compound, this means it can work as either a base or an acid under the right conditions. 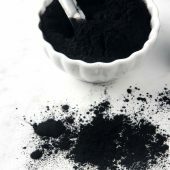 When you add it to a strong base like Lye (sodium hydroxide), it will react with the lye to produce carbonates. 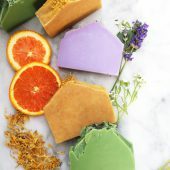 Carbonates will just muck up the soap, and not all of the desired oils will saponofy, leaving you with an over super-fatted soap. 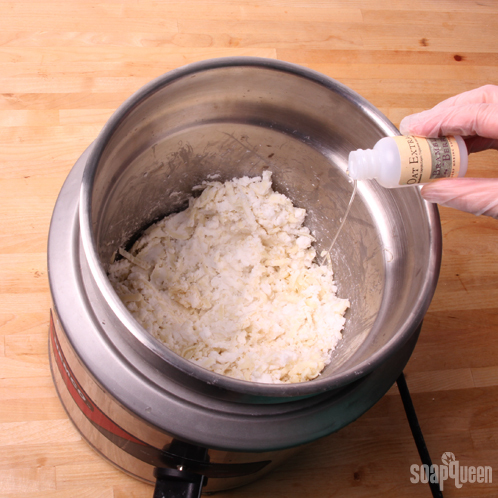 Rebatch works because all the lye is used up in the saponification reaction, and isn’t around any more to react. We tested it out, and that’s exactly what we found! We’ve included our photos at the end of the post. Thanks for the information! Also forgot to ask, can I substitute the oat extract or make it without it? 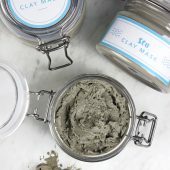 Can I use a different mold? I have your 12 bar square silicone mold. Also, what does the oat extract do? Does it provide any scent? 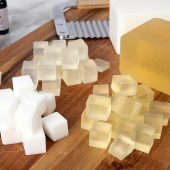 Of course you can use a different mold 🙂 Simply run the recipe through our lye calculator and resize it to get the correct amount you need for whatever mold you’d like to use. 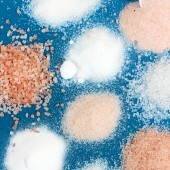 As for the baking soda and oatmeal, they are both very mild exfoliants. 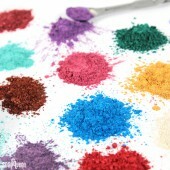 The little granules are finer than sand! 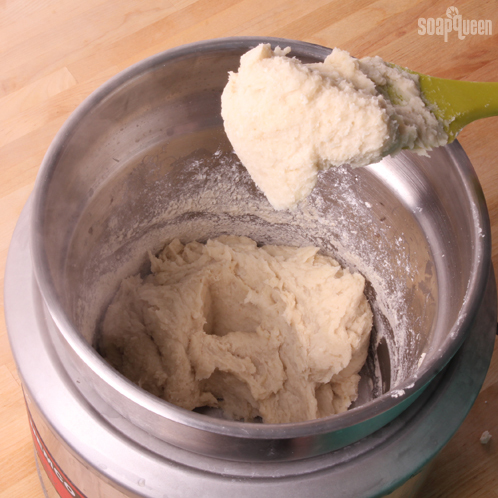 Our team tested a batch of cold process with baking soda, and the results weren’t so great! We have included photos of the results at the end of the post. 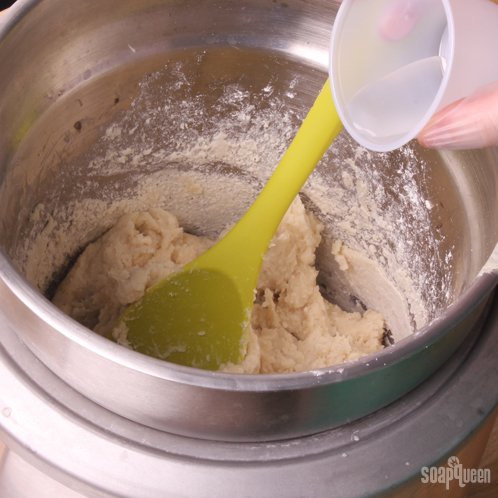 Unfortunately, there is just no way to successfully combine baking soda and cold process soap batter. 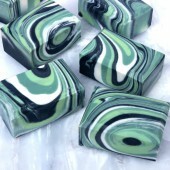 Whenever you put organic materials on top of soap, unfortunately they will go brown eventually. They were once living things, so they will begin to decompose! What kind of double boiler are you using? It looks electric, with a dial similar to a crock pot. I’m really interested because I’ve tried finding an electric double boiler before with no luck. Thanks but I already tried that. I clicked on your link for double boiler hoping it was going to take me to an electric double boiler, but it just went to the double boiler search on amazon which I’ve tried extensively before along with various google searches changing up the wording slightly and still no luck. Everything is for the stove, no electric ones. I have been on the hunt for an electric double boiler also since the room where I craft doesn’t have a stove. Do you think a soap kettle would produce the same results? Or is it too much direct heat, or a crockpot? After some sleuthing, I found one here that looks just like theirs! 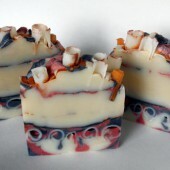 I love making rebatch soap! 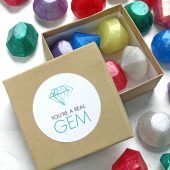 Thank you for the new inspiration – can’t wait to try! Rebatch is so easy and so great! Glad you enjoyed this recipe 🙂 If you try it, please let us know how it goes! 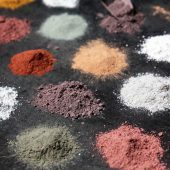 If I don’t want to use rebatch, would I add the soda/water at trace and discount the lye water? This is something we’re currently researching. Our team is testing a cold process recipe with baking soda over the next few days, and I’d be happy to get back to you with a response 🙂 Happy soaping! Wow. You guys are always so inspiring!! 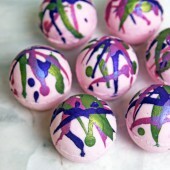 I wouls love to try this in cold processed soap . Would I add the carb. soda at trace with a small amount of water or to the lye solution? Thanks so much for all you do for the completely addicted soapers in this world. 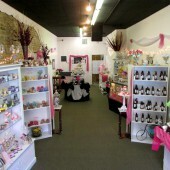 By the way Anne-Marie, You Soap Crafting book is amazing. I wish you every success. I can’t wait to hear the results of this test! I think we’ll all be watching given the level of interest I see here. Thanks for doing this!